In addition to music lessons, we offer a wide variety of music-related services. We are available for commission for new composition work as well as arrangements of existing works. (Arrangements of existing works must fall within acceptable use and not violate copyright law.) We are knowledgable and practiced in many genres, with both conventional and unconventional orchestrations. Individuals and groups that commission original music can expect to work closely with the composer in order to ensure a finished piece that is tailored to their musical strengths. 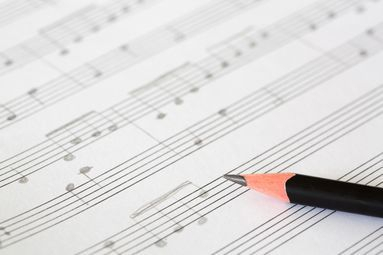 Additionally, we offer engraving services to put handwritten or dictated work into music notation software, presenting you with a clean, polished final copy of printed sheet music. We can also proofread and clean up your digital scores. These examples just scratch the surface of what we can do - let us know what sort of project you envision, and we'll work with you to make it a reality!